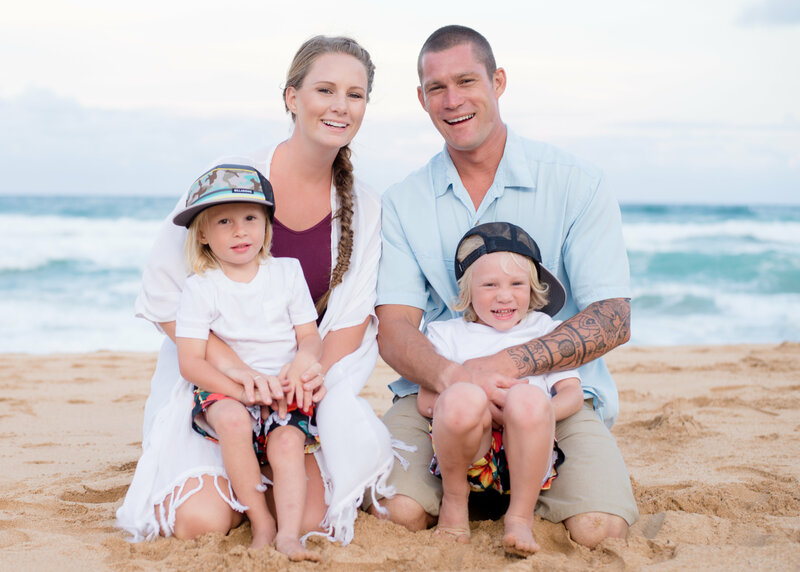 This month Kelly of Hoa Kai shares her journey of being a Lady Boss. She was the recent winner of an Entrepreneur Competition host by the Northshore Rotary for funding towards the growth of her business. Here we get to hear about what sparked the idea, what motivated her, what challenged here and what she has plans for next! What was the turning point that made you decide to launch your business? I was working full time at night as a waitress/shift manager at a restaurant and my husband is a lifeguard working days. I would go weeks without being able to spend time with him and we were raising 2 boys under 4, building a house, and I had just started Hoa Kai. At the same time as all this hectic normal day stuff my dad got diagnosed with stage 4 esophageal cancer and he started getting really bad fast. I ended up becoming his full time care taker. Watching my Dad die made me realize that I wanted to spend as much time with the people I love, doing what I want, wherever I wanted to be. And I knew that meant I needed to quit my job and make Hoa Kai work. That’s when I feel like Hoa Kai really launched. I was lucky enough that my Dad got to see the beginning of it and I quit my job about 3 months before his passing. I got to bounce ideas off of him and he was really a huge part in it. He got to see my enthusiasm and excitement of starting my first company. What surprised you along the way? What surprised me along the way is how many cool relationships I’ve built with people I would’ve never met had I not started my own company. And also how many cool places I’ve gotten to travel to so far. What failure led to success? All my failures have led me to something that was instrumental in my success. I feel like there’s always something that’s a struggle and I somehow work through it and it brings something better than I could have anticipated. Here’s an example: I recently did a print collection with an artist and the printers in Turkey just got really sketch. You see we have our weavers weave the towels and we then send them off to a print factory where they have to use these special machines to print on the 100% cotton towels. But this time the printers were being weird. They ended up sending a ton of bad prints. Like I’m talking 100s. A project that was supposed to take 5 weeks took 5 months no joke, with 100s of misprints we couldn’t sell costing us a ton of time and money and here I am the one who has explain this to a very successful artist who’s been waiting for months for their towels. I was devastated because prints are our number one seller and I had this opportunity to work with this amazing individual and I felt like I was blowing my chance. So after we finished that run I decided to focus on woven designs while I figured something else out with the printers. I was looking into buying my own printers in Turkey, but that ended up not being an option because of cost and logistics of trying to run a factory in Turkey while living in Hawaii. I tried talking with the current printers about new machines but they ended up going out of business. So I was stuck, it’s almost impossible to find someone half way around the world in the country that doesn’t speak English that has the capability to print on these 100% cotton towels. 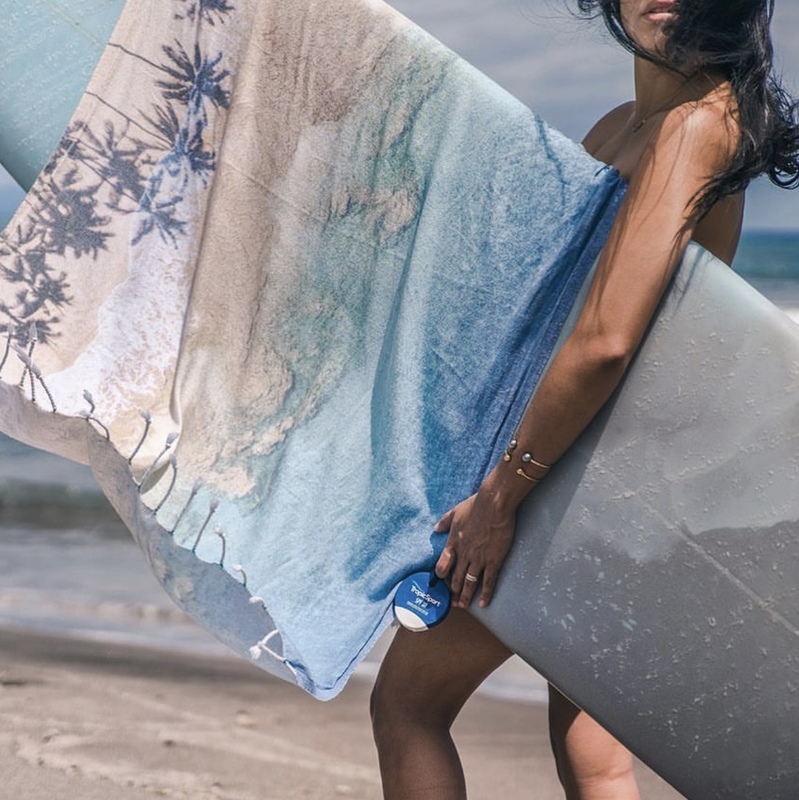 Hoa Kai was the first company to discover the process of printing on Turkish towels.. so we know what we needed and the combination of machines to do it is not a normal set up and fabrics printer would have. What strength did you discover that you didn't know you had? Grit. I had no idea I had so much grit. It’s my new favorite word. I have the definition written on my fridge. Grit: The tendency to work strenuously towards challenges, maintaining effort and interest over years despite failure, adversity, and plateaus in progress. What is a memorable moment? Gosh there’s too many. Here’s two. The first meeting I ever had with a store buyer. I walked in with a bin of towels, I didn’t even have packaging or logo embroidered on any of these towels. I had no line sheet, catalog, price sheet, pretty much I had nothing but a bin of towels. I ended up selling a bunch of towels that day and when the buyer asked if I worked on Net 30 terms I just said “sure” having no idea what that meant I went home and googled it. Hahaha I’ve come so far since then. The second memorable moment would have to be the Catch a Wave competition in May. It started with 38 businesses on the island who applied and ended up with 8 finialiast who were to present their business in front of a panel of 5 very successful entrepreneurs (kind of like shark tank). I was one of the 8 finalists and I ended up winning first. It felt good to be recognized by people who mattered. When I say mattered I mean by people who have been very successful in their lives with their own businesses. It meant what I was doing was good and to keep doing it. You see, it can be hard in business because there’s no real rules, there’s nothing really to grade yourself on as every business is so different. Who has inspired you to keep going? Any business owner who has ever been successful. And my definition of success is “Doing what you want, when you want, where you want, with whom you want, as much as you want”-Tony Robbins. Sara Blakey has always been a huge inspiration. But I also have friends that inspire me everyday. 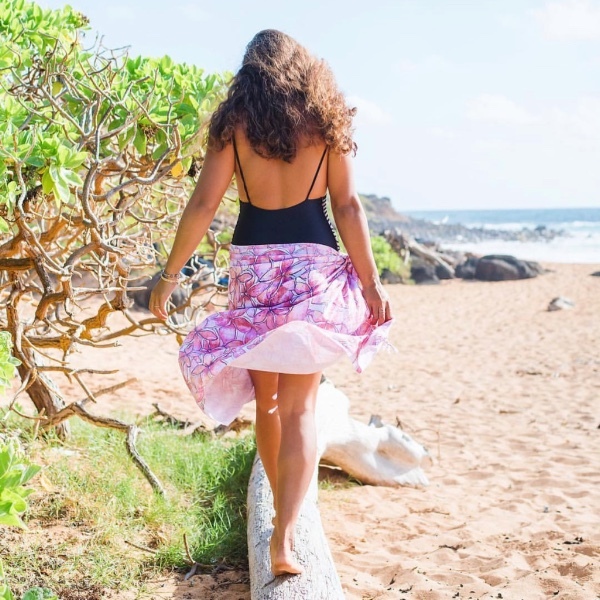 Like Taryn from Kaikini, Nicolette from Foto Pop, Jen from Destination Events Hawaii. I’m lucky to be surrounded by so many friends who are entrepreneurs themselves. Where do you hope to go next with your business? 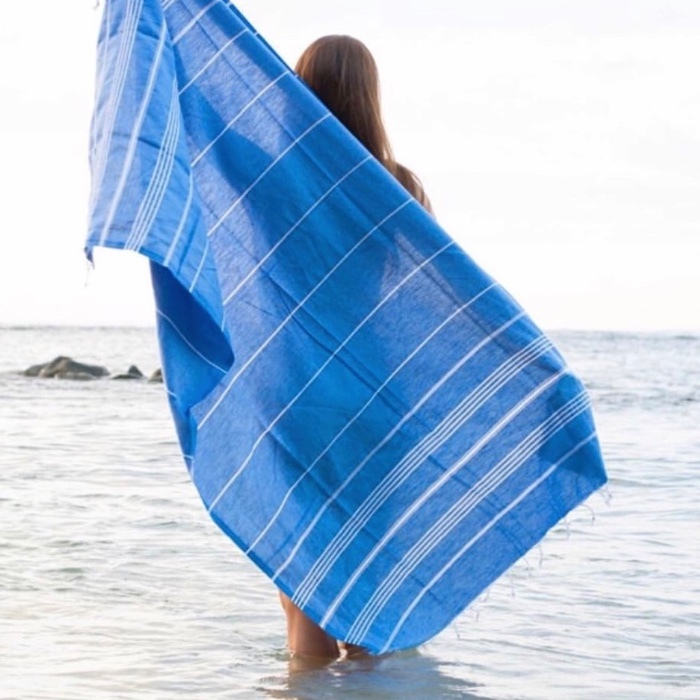 The focus right now is to keep selling Turkish towels. To double sales every year and eventually expand products to stickers, Hats, shirts, shorts, dresses, bags, etc. 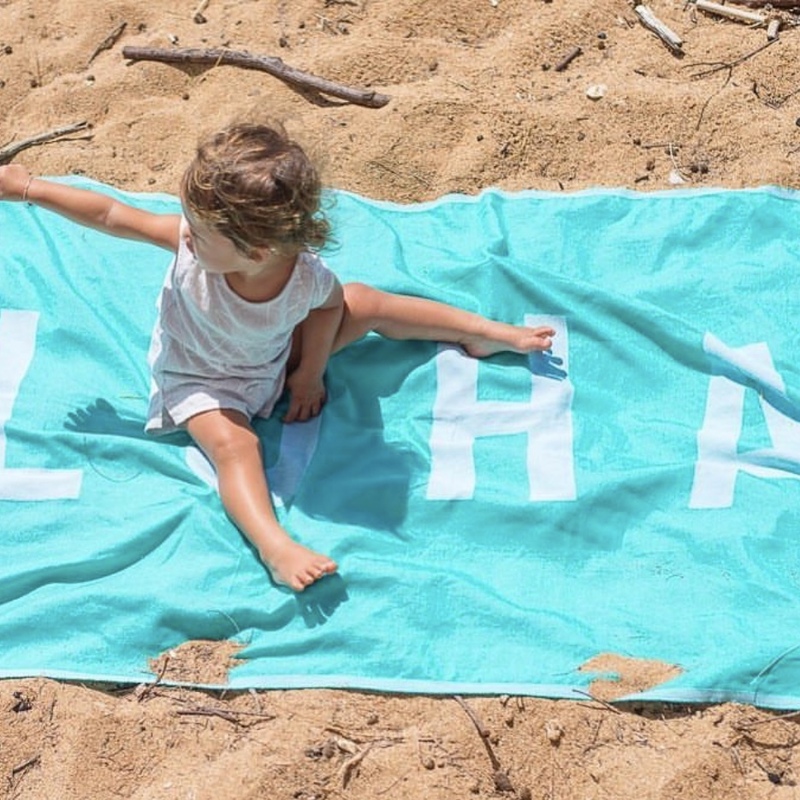 create an overall surf brand with Hoa Kai.